Who like Christmas freebies?? I have some for you today! 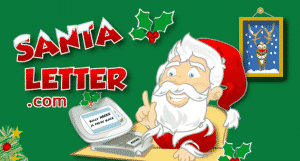 Right now, you can send a FREE letter to Santa Claus! In addition to sending the free Santa letter, you will also hear directly from Santa about whether you are on the naughty or nice list! Don’t wait too long, Santa needs to know what you want for Christmas!